Natures Grown Organic feed is made in the Driftless Area of Western Wisconsin in the Heart of Organic Farming country. The quality product we produce has its roots in a desire to exceed the needs of organic customers from the family farm to the backyard poultry producer. 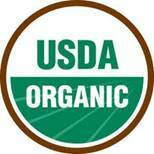 Natures Grown Organic is the premier source for high quality USDA certified organic feeds. We offer a variety of feeds to match the needs of all farm animals, and make custom mixes. Our local certifier is Midwest Organic Services Association. Our feeds are formulated to exacting standards using the finest organic local grains, many provided by our own local cooperative members. No synthetic fertilizers or pesticides are used in growing the grains we take pride in calling Natures Grown Organics.